Today is World Hunger Day. A third of all child deaths in developing countries are linked to hunger. 1 in 8 people in the world go hungry every day. 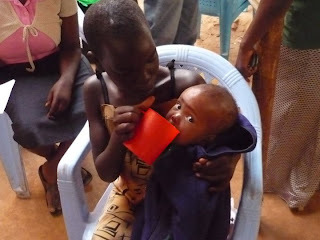 In Uganda, 5.8 million people are malnourished. 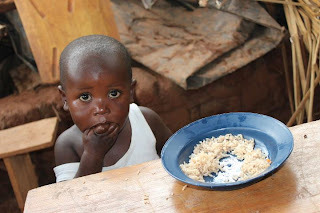 At least 9 million Ugandans are food insecure. These are shocking statistics considering that for most of us, we have never had to worry about where our next meal is coming from or how we are going to feed our family. 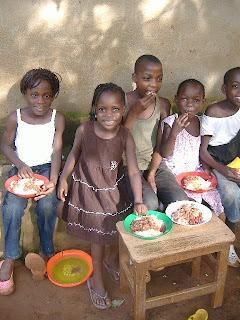 Many of the kids that Kids Club Kampala work with come from families that are often unsure as to where their next meal will come from and end up going to bed hungry every night. Poor nutrition and a lack of food leads to stunted growth and development in children, lack of concentration at school affecting their learning, tiredness and a lack of energy. Several of the children who attend KCK are often too hungry and lacking in energy to join in activities and play games with their friends. We are working to overcome these depressing statistics through our Feeding Programme. Every week, all children at every KCK centre receives a hot, nutritious meal. 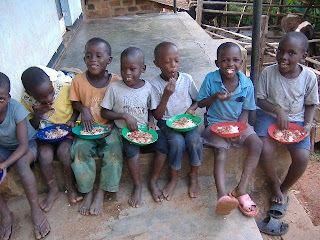 This means that every week, approximately 4000 children who would otherwise have gone without food get fed, thanks to Kids Club Kampala. who have been benefitting through this project. Children no longer lack energy, and are able to join in all the games and activities. Less children are getting sick regularly, as their immune system is being built up. 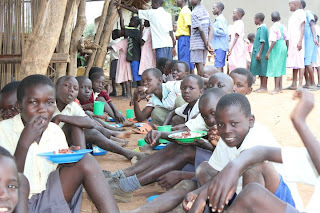 Children's behaviour has increased, and sitting together to eat a meal every week has built up friendships, social skills and trust between the children and the volunteers. But tackling child hunger doesn’t stop there; we don't only feed the children. 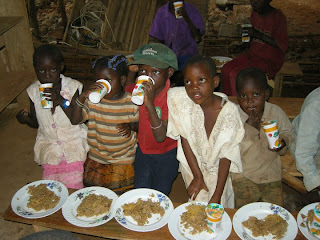 We are working towards sustainable solutions to hunger and malnutrition, through our Community Development programmes. are working with We our Women’s Groups, running Agricultural projects to provide sustainable sources of food for their families and an additional source of income. In the future we would love to provide these meals more regularly in the week to children at every Kids Club centre who needs it. We are also planning on providing food parcels for the neediest families who struggle to feed themselves and their children.